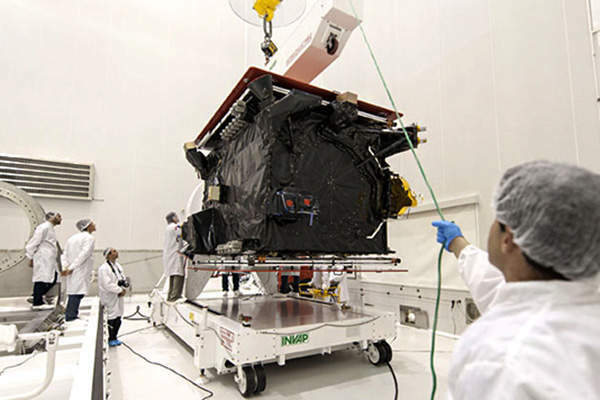 The vibration tests of the ARSAT 1 satellite were completed at INVAP’s headquarters in San Carlos de Bariloche. 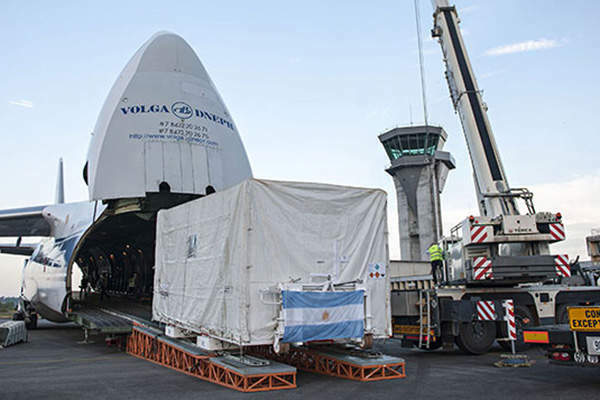 ARSAT-1 was delivered to French Guiana in an An-124 cargo aircraft. The prelaunch operations of the satellite were conducted at Spaceport’s S5C preparation hall. 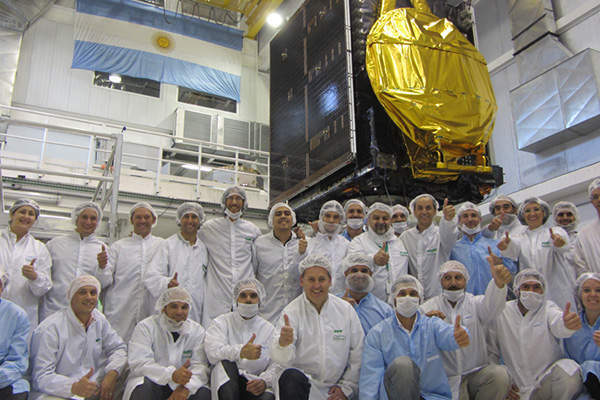 ARSAT-1 was installed on the Ariane 5 launch vehicle at the Spaceport in French Guiana. Image: courtesy of Arianespace. ARSAT-1 was launched in October 2014 from the Guiana Space Center (CSG) in Kourou, French Guiana. ARSAT-1 is the first of three geostationary satellites developed entirely in Argentina under the Argentine Geostationary Telecommunications Satellite System (AGTSS). The ambitious satellite programme will develop indigenous technological and development capabilities for the country. ARSAT-1 satellite was launched into the geostationary Earth orbit in October 2014. The launch was hosted by Guiana Space Centre (CSG) in Kourou, French Guiana. The satellite was designed and developed by INVAP, and is operated by Argentine satellite operator ARSAT (Empresa Argentina de Soluciones Satelitales Sociedad Anonima). 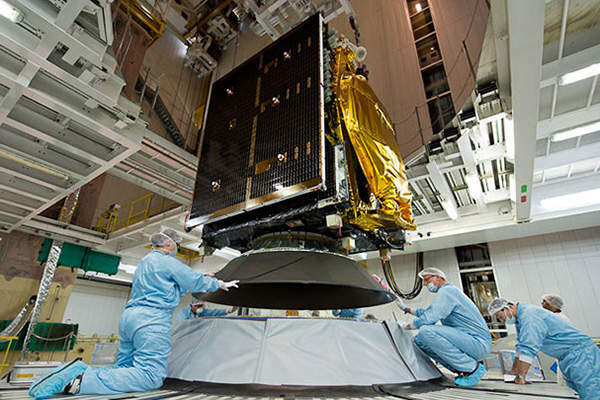 The payload for the satellite was provided by Thales Alenia Space. ARSAT-1 operates from the orbital location of 72° west and provides various services, including telecommunications, data transmission and television services across Argentina, Chile, Uruguay and Paraguay. The satellite will serve approximately 60% of the world’s population across four continents. Prime contractor INVAP is responsible for the design and construction of ARSAT-1, management of the project, engineering development, fabrication and integration of the components, quality assurance, and orbital launch. The payload system and telemetry, tracking, and command (TT&C) subsystem as well as the S-Band transponder were supplied by Thales Alenia Space. 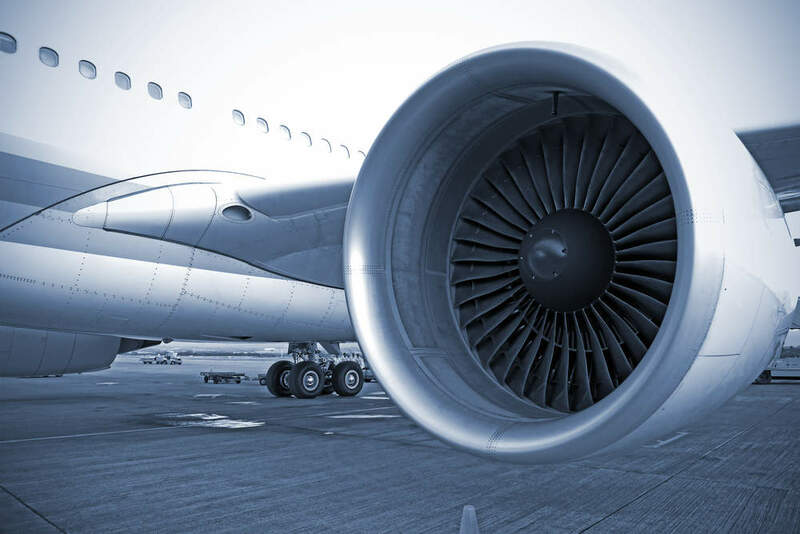 Airbus Defence and Space supplied the Satellite Processing Unit (SPU), the central cylinder and the propulsion subsystem. The SPU, the key component of the satellite, acts as an on-board computer and hosts the custom developed software. It controls tele-command, telemetry and spacecraft internal communication interfaces. The SPU also monitors the vehicle systems and contributes to the satellite’s fault detection, isolation and recovery (FDIR) system. The 50kg central cylinder is the backbone of the satellite and uses an ultra modulus carbon fibre sandwich which forms an interface with the rocket and supports the total weight. The propulsion is provided by a bi-propellant system using fuel and oxidiser to push the satellite towards the orbit when it separates from the rocket. The satellite was built at INVAP’s headquarters in San Carlos de Bariloche, Argentina. It has a design life of 15 years and total launch mass of 2,900kg. "The ambitious satellite programme develops indigenous technological and development capabilities for the country." The ARSAT-1 satellite was launched aboard Ariane 5 ECA rocket designated flight VA220. Ariane 5 ECA is a heavy lift launch vehicle used for geostationary transfer orbit (GTO) missions, which usually carries two telecommunications satellite payloads. Arianespace was awarded the contract to provide the launch service operations for the satellite in June 2010. 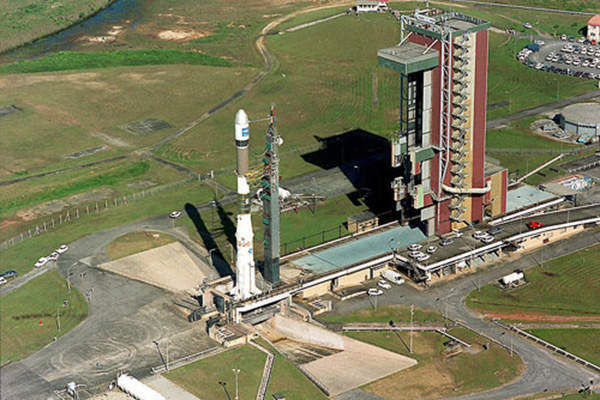 The ARSAT-1 satellite was launched along with the ISDLA-1 satellite, which was built by Space Systems/Loral (SS/L) for Intelsat. The launch took place at the European Spaceport in French Guinea. The ARSAT-1 satellite is equipped with 24 Ku-band transponders, including 12 36MHz, eight 54MHz and four 72MHz transponders, which use 3.5kW of power. These transponders are used for the expansion of communication services such as telephone, television and data transmission with geographic coverage in the Southern Cone. The ARSAT fleet also includes ARSAT-2 and ARSAT-3, which will occupy the positions at 81° in Ku band covering North and South America, and in C band covering the whole hemisphere. The ARSAT-2 became functional in September 2015 and has a life span of 15 years.